Who doesn't love a heat changing mug, lol. That is brilliant! I might buy mysef an early christmas prezzie! 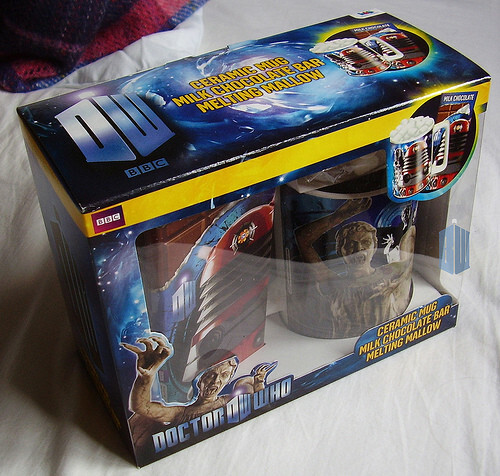 I am sorry to announce that at 6.23pm GMT tonight, I broke my Davros mug by sitting on it accidentally. It is a tragic tale involving me leaving it on a chair, moving a cushion on top of it (for reasons I won't go in to) forgetting the mug was under the cushion and then, in the final act of this morality tale, sitting on said cushion. It was not my finest hour. I severly hope there isnt a need for stitches! See, this forum is a broad church - bet you don't get this standard of medical/merchandise interplay on other Dr Who Fora! 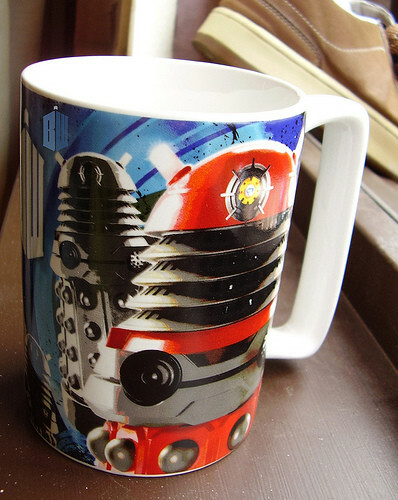 The mugs are okay but I actually prefer some of the fan made mugs that you can get, something with a bit more of thought in them and ones that can only be *truly* appreciated by a fan, such as 'the angels have the phone box' logo.